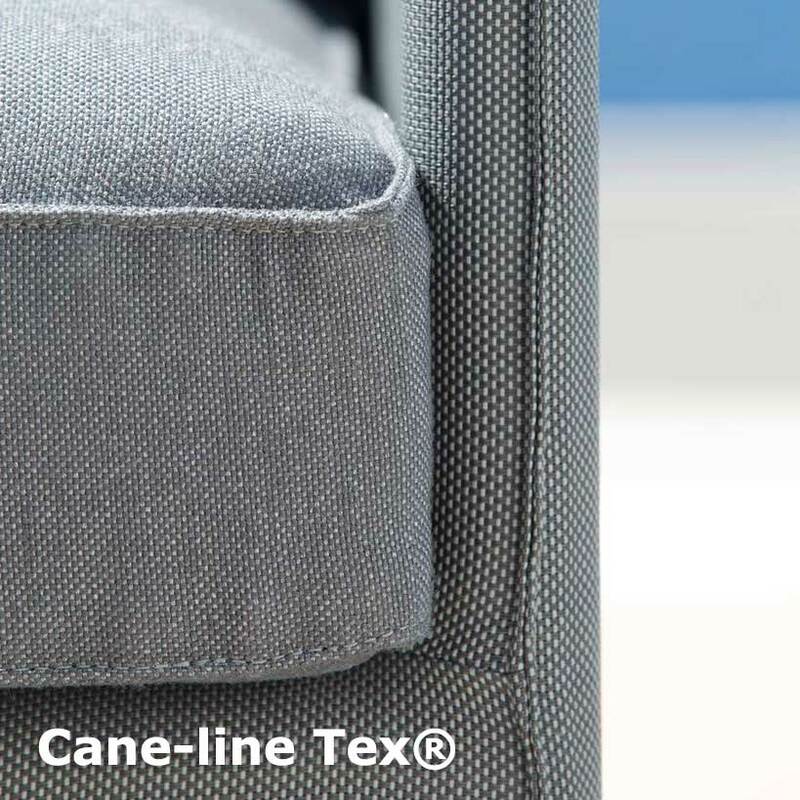 Cane-line Tex® is a coated polyester material that is ideal for outdoor use and requires minimal maintenance. 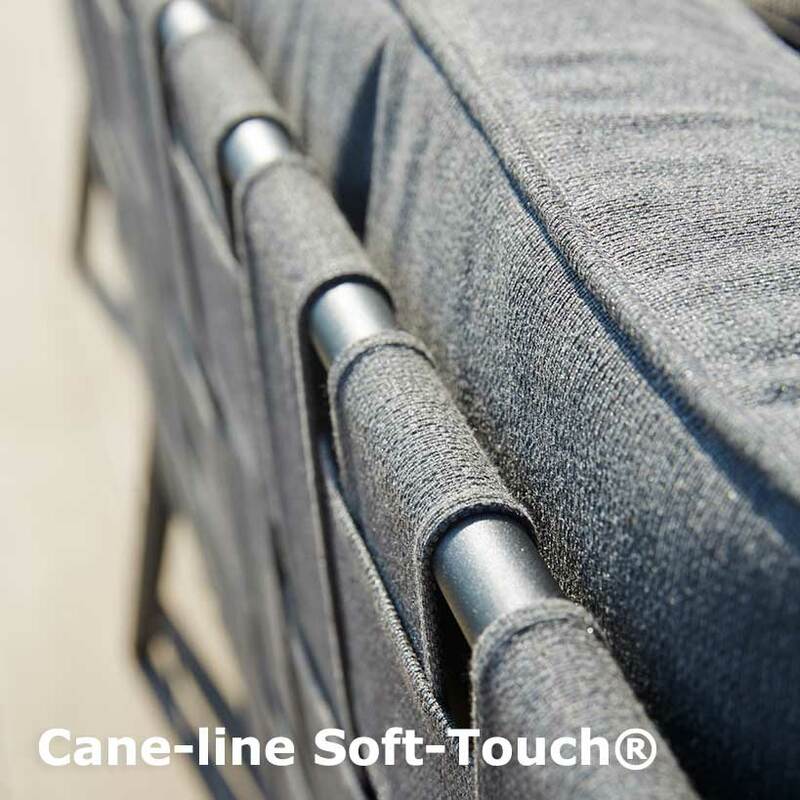 Cane-Line SoftTouch® is a patented material produced exclusively for Cane-Line. 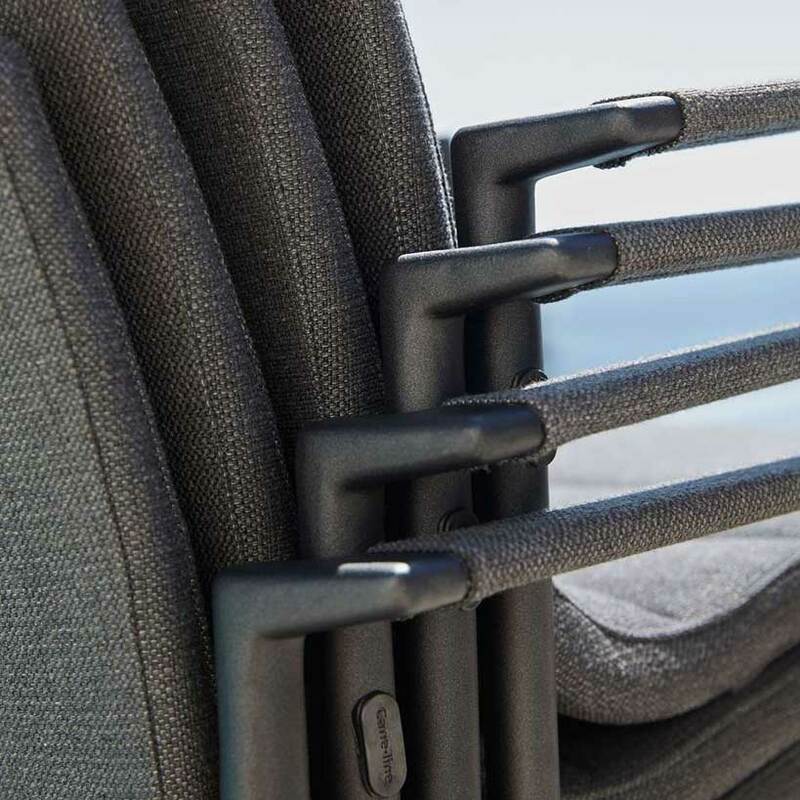 SoftTouch® combines the strength of Cane-line Tex® with the comfortable softness of the Sunbrella fabric, resulting in a soft yet durable surface. 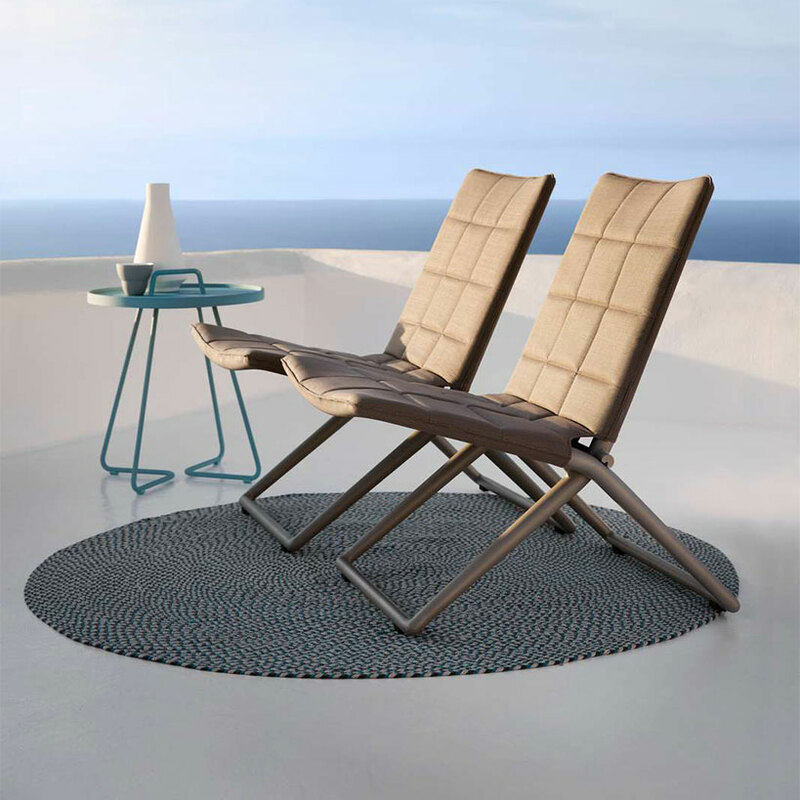 Cane-line Sunbrella® Natté is a unique material produced by Sunbrella exclusively for Cane-Line furniture. 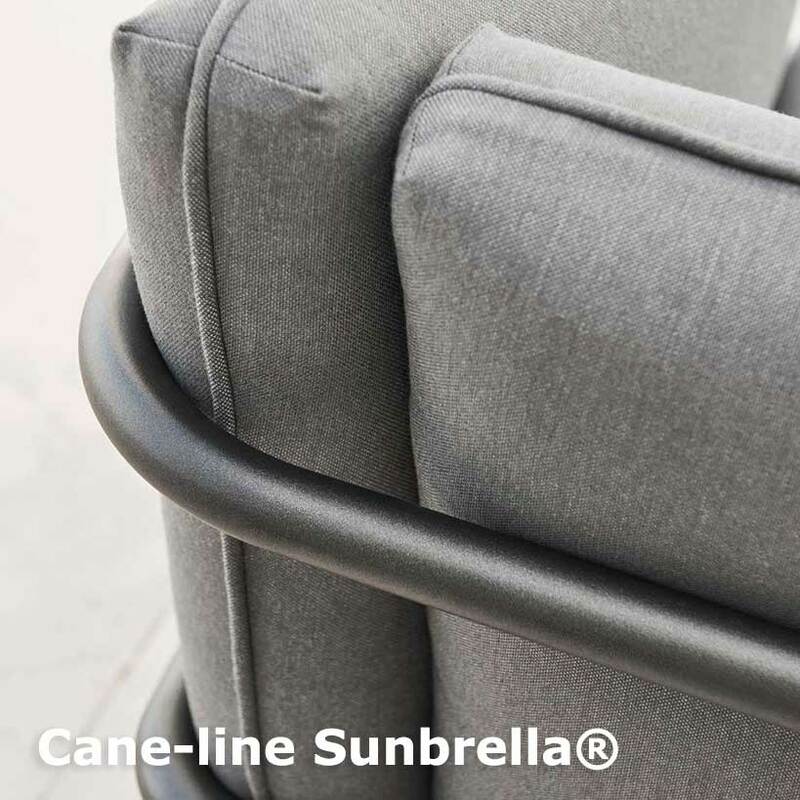 Sunbrella® Natté combines the strength of the unique Cane-line all weather fabrics - Cane-line Tex® and Cane-line SoftTouch® with the comfortable softness of the traditional Sunbrella fabrics, resulting in a soft yet durable surface. 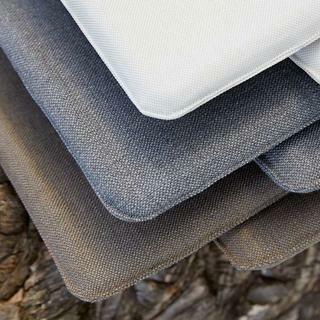 Cushions made from Cane-line fabrics come with a QuickDryFoam® core, ensuring maximum drainage and air circulation. 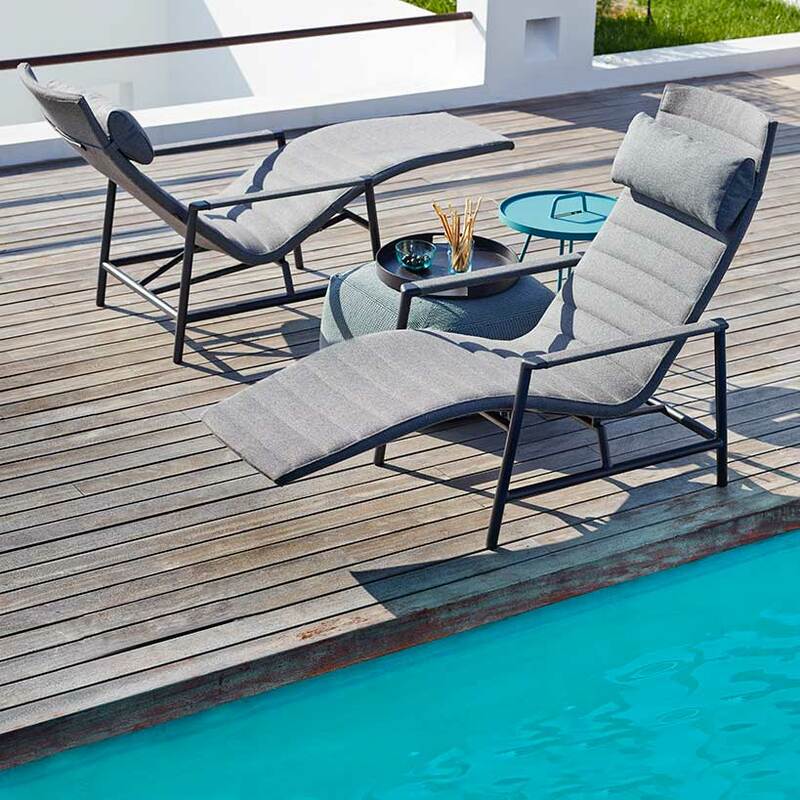 This allows the cushions to dry faster after having been exposed to rain and moisture. The core also has anti-bacterial protection, reducing the risk of mould and mildew forming on the cushion thus keeping it looking good for a long period of time. Because the product is used outdoors over extended periods of time, regular cleaning with a soft brush and soapy water is important. This ensures the removal of superficial dirt and debris, such as leaves, berries, pollen and bird droppings, before they have a chance to build up and become more difficult to remove. In case of food or drink spills, wash the spot immediately with warm soapy water and allow the cushion to dry in an upright position. It is important to always place your cushions in an upright position when not in use. This ensures optimum drainage, thereby minimising the risk of mould and mildew. 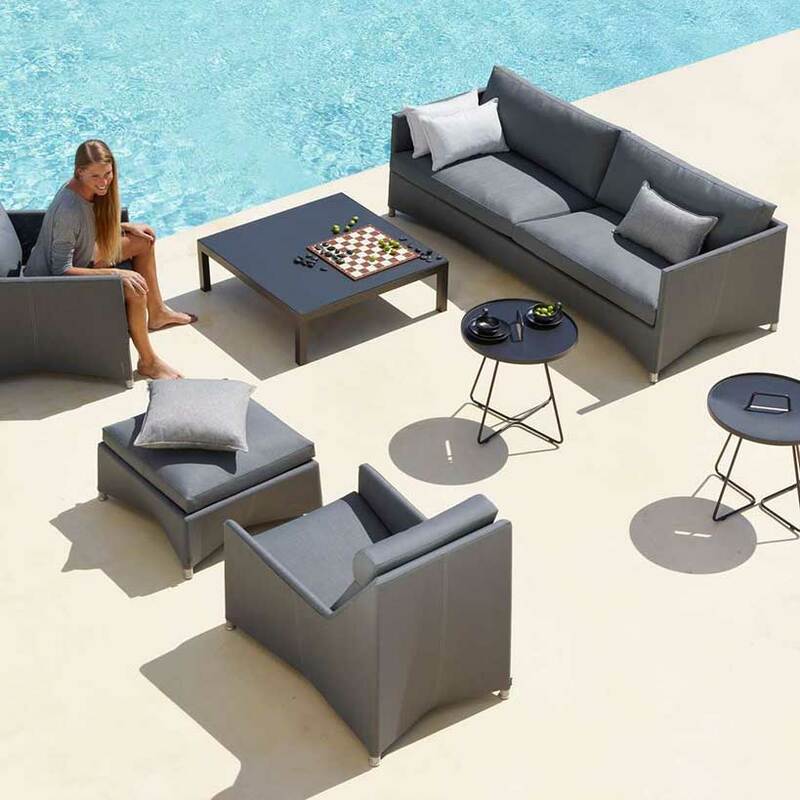 The anti-bacterial protection in the cushion core is most effective with correct drainage of the cushions. Please note that despite the anti-bacterial protection, mildew can still form on the inner and outer covers if the cushion if not properly drained or cleaned. To get rid of stubborn stains or built-up dirt, carefully wash with a recommended stain remover, such as Vanish (Vanish Oxi Action), and/or a high-pressure cleaner at the moderate setting. It is a good idea to remove the core from the cover and wash and dry them separately. Make sure to clean both sides of the outer cover. Please note that the cushion cover is machine washable at 30°C. It is best to store furniture frames indoors. Alternatively, they can be stored on a covered terrace, patio or carport, where they are protected from the elements. Furniture frames can be stored outdoors under a furniture cover. Please note, however, that condensation can form under the furniture cover, which can cause mould and mildew. Make sure to lift the cover away from the frame to ensure proper air circulation and minimise condensation. It is best to store cushions indoors in a ventilated room. Alternatively, they can be stored in a cushion box on a covered terrace, patio or carport, protecting them from the elements and ensuring proper ventilation. Do not store your cushions on the furniture frames as this can cause mould and mildew to form on the surface, making cleaning more difficult. If you have any queries or would like to place an order please contact us on 0345 605 2505 and speak to a member of our sales team.